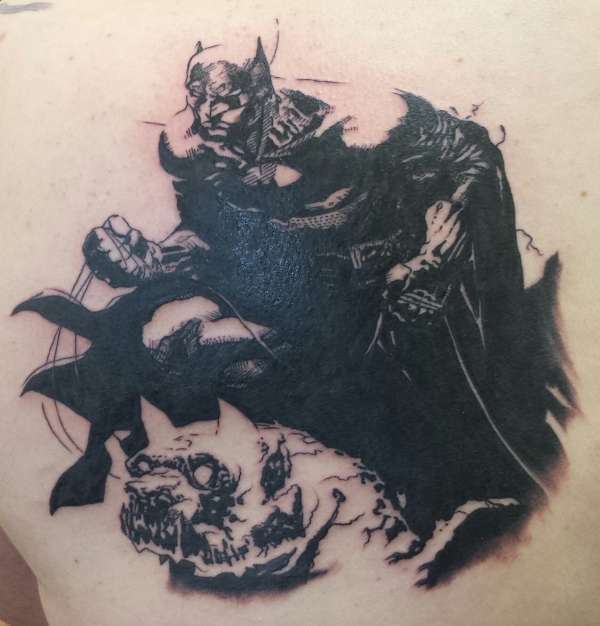 Batman tattoo based off Jim Lee sketch, on left shoulder. Took 4 1/2 hours. Done by Anthony Jenkins at requiem tattoo in Waterdown, Ontario Canada.